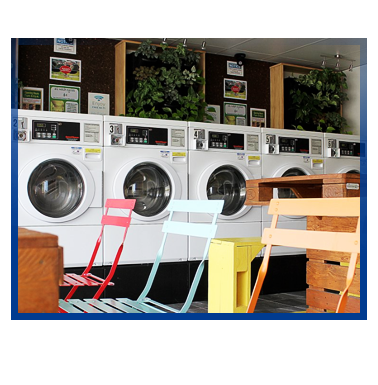 WaterSpirit Laundromat is located in two convenient Brisbane inner city locations at KANGAROO POINT and GREENSLOPES (STONES CORNER) with plenty of free parking. We bring you an awesome self service laundry experience at Brisbane's lowest prices - we are the home of the $2 DAILY SPECIALS. Our laundromats are open 7 am - 9 pm daily, with high speed commercial washers and dryers from USA in different sizes to get your big washes done very quickly. Blanket washing is very easy at WaterSpirit Laundromats! Local businesses with large requirements can buy laundry tokens from us at a discounted price. Contact Us today to find out how. We also offer a convenient $20 per bag serviced laundry option including free pickup and delivery for local businesses within 5 km radius of Kangaroo Point. The WaterSpirit Laundromat is located near Brisbane CBD at two convenient locations with plenty of free parking at both stores. SERVING HAPPY CUSTOMERS DAILY FROM ALL OVER BRISBANE INCLUDING Brisbane CBD, New Farm, Kangaroo Point, Fortitude Valley, Newstead, Spring Hill, East Brisbane, Woolloongabba, Annerley, West End, South Bank, Coorparoo, South Brisbane, Paddington, Milton, Auchenflower, Norman Park, Annerley, Greenslopes.